Home / Comedy / EFCC / Religion / sports / Gospel Musician, Jblingzmoney, survives been killed for rituals!! 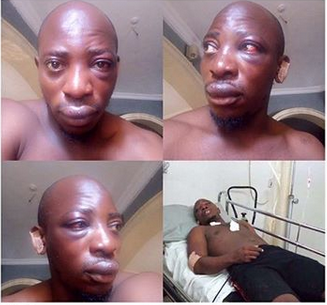 Gospel Musician, Jblingzmoney, survives been killed for rituals!! You are always there to help, you are always there to help, even when no one else was there, you always there for me, even when I cant feel, even when I cannot trace you, I still have faith In your words that you are always there for me. Who ca Battle with the Lord? Nobody …….. The God Who See’s even in the darkest of Night, the God that hears the silent prayer from the heart, you gave me strength to wrestle with 4 demonic men and you prevail, all I can say is thank you JESUS ….. I am alive, I am saved and I am bouncing up stronger ………. This is my testimony JESUS WINS.